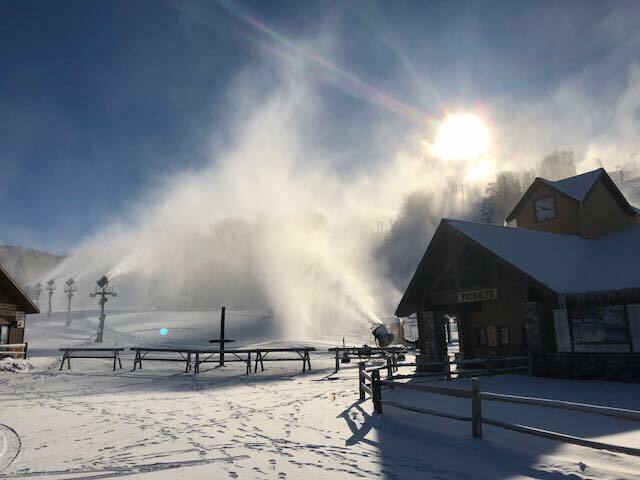 The blast of cold air swept across the state of Michigan this week, with it bringing favorable conditions for early season snowmaking. Temps during the day staying well below freezing and in the twenties, overnight lows have been dipping deep into the teens, things are looking positive for the jumpstart of the 2017/2018 season. While you can pretty much count on Ski Brule in the western U.P. for opening first, it has been a number of years since a ski resort in Michigan’s lower peninsula has seen an opener before Thanksgiving, but there’s a number of them who are prime and aiming their sites on opening up well before the holiday. Feeling the hype with some great footage from the crew pumping out snow at Caberfae in Cadillac who has been able to put down a bunch of coverage in 24 solid hours of snowmaking. Still a touch early for Caberfae to give us the exact day, but getting the ground covered is key to sustaining any warm up. Ski areas across the southeast portion of Michigan get the advantage that they’re further away from the lake and those cold temps ripping across the entire state supercharge efforts. Mt. Holly is opening up today from 12pm-9pm sliding on 4 runs with a couple more to come on line later in the day. $25 gets you on the hill. Alpine Valley in White Lake made the push and is opening up this Saturday (11/11/17) 12pm-9pm and Sunday (11/12/17) 10am-5:30pm. $20 gets you on the hill. Pine Nob is open up currently for Saturday and Sunday riding. With features no less. 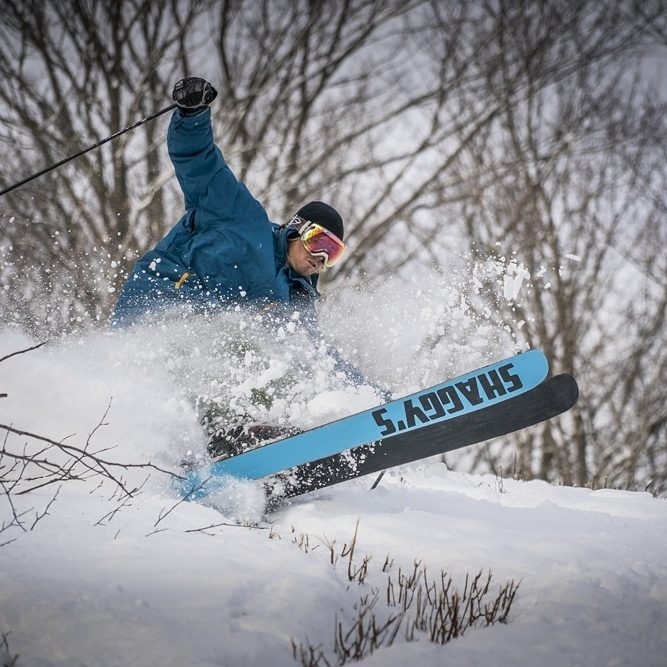 The Nub’s Nob team is known for their snowmaking capabilities and are no stranger to early season efforts. Nub’s has been cranking out the snow since Thursday morning and were one of the first to get fully up online. Certainly a possibility for an early opener. Even as far south as Otsego, Michigan – Bittersweet cranked the guns up and is rumored to get something opened up this weekend. Watch for a possible Saturday afternoon opener. 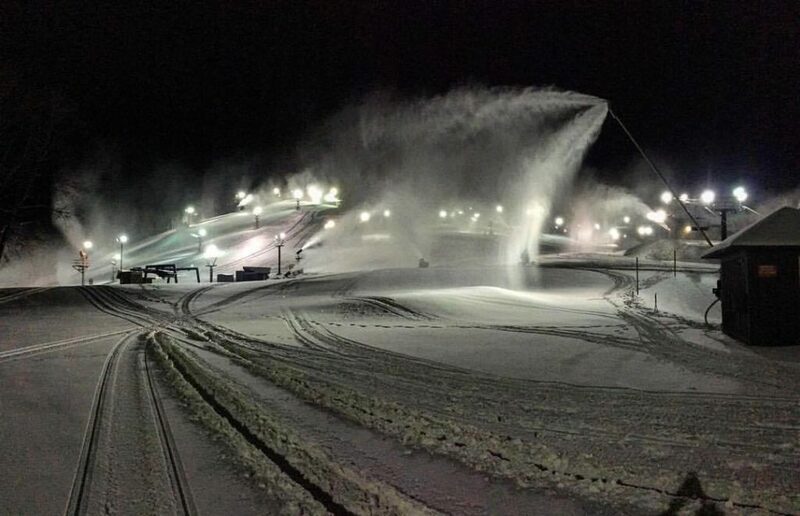 Snowmaking at full capacity at Bittersweet in Otsego, MI. Temps were favorable all across the north country. Crystal Mountain finished the week strong but temps are going to climb above 28 next week; their magic number for optimal snowmaking. 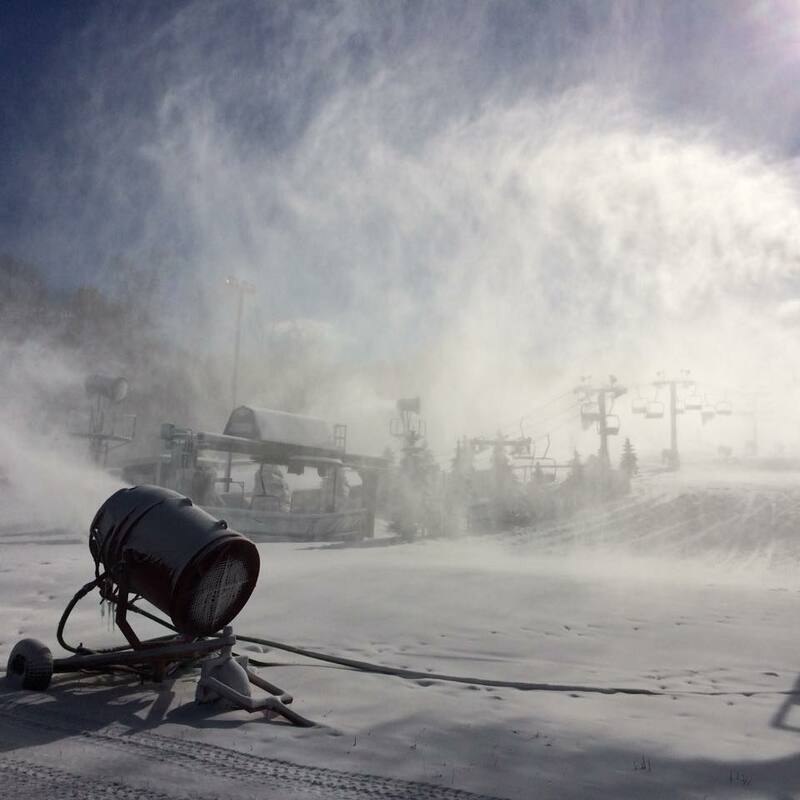 [Update] Boyne Resorts have been hard at work making snow at both Boyne Mountain and Boyne Highlands. 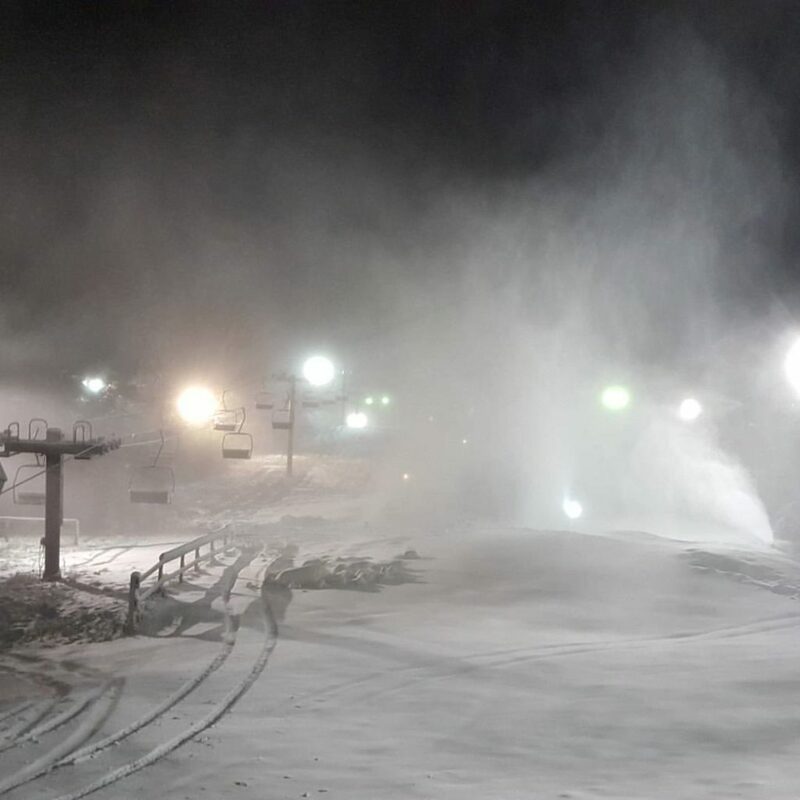 With Boyne Mountain taunting a Sunday (11/12/17) opener they’re making a push for it and will be operating 3 runs and 2 lifts. Boyne Highlands will be open on Sunday (11/12/17) as well. They’ll be spinning the Heather Express lift and running on Heather all day. 10am-4:30pm and $35 gets you on the hill. Not wasting any time, a group from Shaggy’s Skis got out in search of the natural goods in the U.P. A solid blanket fell across most of Michigan’s Upper Peninsula, with the Keweenaw netting 10″ in spots. Bushwhacking for pow shots – we’ll take it! We’ll keep updating this as soon as we hear more. Here’s to a proper kickoff of the 2017/2018 season and we hope you’re getting as stoked as we are.